Remarkable Marketable Me: Tiger's Tooth Extraction ~ CARE providing medical care to the big cats! Tiger's Tooth Extraction ~ CARE providing medical care to the big cats! Hi Jean Robb here. The video above is just one example of the great home that CARE provides for their big cats. The medical needs of these cats along with the food provided each day are a big part of the funds needed to keep these beautiful cats in a safe home and environment. Please consider helping CARE! Read About CARE and Executive Director, Heidi Berry, here! The Center for Animal Research & Education is working to help turn the tide of the abused and abandoned big cat. The previous organization operated primarily as a boarding facility for performing animals and assisted in big cat rescue efforts by providing care and a sanctuary for animals rescued from abusive and unsafe environments. 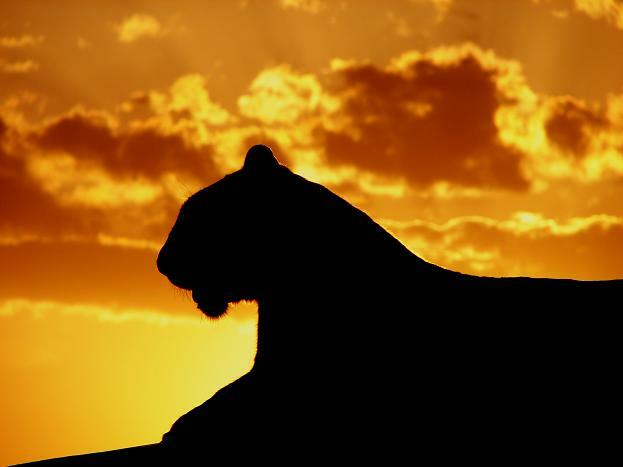 Founder Heidi Berry, a recognized authority in the field of captive management and husbandry of large exotic felines, moved to refocus the purpose of the Center in 2002. In order to protect and provide for the Center’s long-term future, all commercial activity was terminated and the conversion to a nonprofit entity commenced. By 2003, CARE had received its tax-exempt 501(c)(3) determination from the IRS. On November 2, 2004, the facility received its USDA Class C license. Pumpkin patches, bright colored leaves, scarecrows, crisp apples and hot cider. Yes, fall is here! 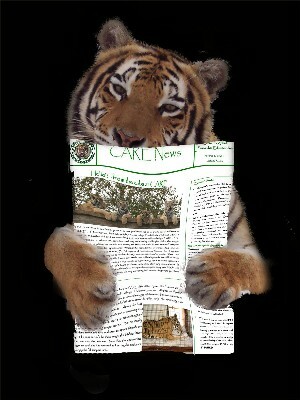 Many of you may be familiar with CARE’s annual Winter Safari. Well, this year CARE has decided to host a Fall Festival instead. Hopefully the weather will be a little milder when we hold the event in late October and early November. We are really excited about our fall-themed event, but there is a lot of preparation to be done. We also know that so many of you have asked about chances to become involved in some way. So, we are inviting anyone who is interested to attend a Fall Festival planning meeting at CARE on Sunday, October 2nd at 1pm. If you would like to be involved in a CARE event, now if your chance! We think this will be a lot of fun and a great way for people in the CARE community to get involved. We have a lot of great ideas, and welcome any suggestions you might have as well. And, of course, there are so many different things to volunteer to do. From decorating, baking, and games to advertising, collecting donations for our raffle and much, much more! We so look forward to seeing you all there. If you have any questions beforehand or if you would like to be involved but cannot make it out on the 2nd, please contact us. After our amazingly successful fundraising efforts, CARE raised enough funds to begin work on the new perimeter fence that will allow us to build more enclosures and provide homes to additional cats that need sanctuary (read the original story HERE). A group of Airmen volunteers from Shepard Air Force Base were scheduled to come out to CARE on their day off (in addition to our regular CARE interns and volunteers) to finish putting in the posts and stretching fence. Before they arrived, there was a lot of preparation to be done. The fields on the new property needed to be cleared and the fence-line prepared. On Friday, September 9th, all of our wonderful volunteers showed up bright and early to get started. But first, we treated them to a very special tour. After the tour, the work began. Everyone worked so hard. We had groups clearing off more land, groups putting in fence posts, and others stretching fence. Around noon, everyone was hot, tired and ready to eat. Chili’s in Decatur, TX stepped in and provided all of the food and drinks to feed and refresh our hardworking volunteers. It was a great chance for everyone to relax under the shade trees, meet new people and catch up with old friends. After the burgers, it was back to work. By the end of the day, the vast majority of the land was cleared, all of the fence posts were in and a good portion of the fence up. It was a long day of really hard work, but it was an amazing feeling to know how much closer this brings us to providing more homes to such deserving animals. We cannot begin to to thank all of the men and women that came out to CARE on Friday to help us realize our dreams. You are truly CARE Heroes!! We had a wonderful day, and hope that everyone enjoyed themselves as much as we did. There are so many ways you can make a difference in the lives of CARE’s Big Cats. Click on the pictures below to learn how. Please keep in mind that we’re still growing here at CARE, and the care and feeding of these big cats takes up a lot of our time – so please be patient with us, we will respond to your calls and emails as quickly as we can!